How can an Aging Life CareTM Expert help our family? Your senior family member lives alone and is refusing help. You have noticed changes in memory or function and are unable to get your family member to see a doctor. Your family member has been given the diagnosis of Dementia and you need help with developing a care plan. You have no idea how you will pay for your senior parents’ care or begin to manage the responsibility. 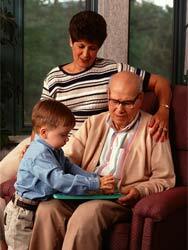 You live in another town or state and you want someone to look after your elderly relative. Your family member has a chronic disease that requires a great deal of health services. Your family member is currently in an assisted living or nursing home facility and they/you are not happy with the care being provided. Your family member is anxious, depressed, or has had a change in personality. There is a source of conflict among family members regarding treatment or care.